Just today we made a list of the updates that Apple is planning to introduce with iOS 8. iOS 8 is expected to come with several game changers to the platform such as third party keyboard apps and improved accessibility options. Well folks Apple just released beta 5 for iOS 8 today and now we’re able to take a look at what new features come with it. The changes are small as compared to previous ones but are nevertheless there. So lets start. In beta 5 of iOS 8 several changes have been introduced to the health app. First of all, Spirometry has been added to the HealthKit. For those of you who don’t know, Spirometry is primarily concerned with lung function such as amount and speed of air entering and leaving the organ. Secondly, the Health App itself has received icon updates for body data. 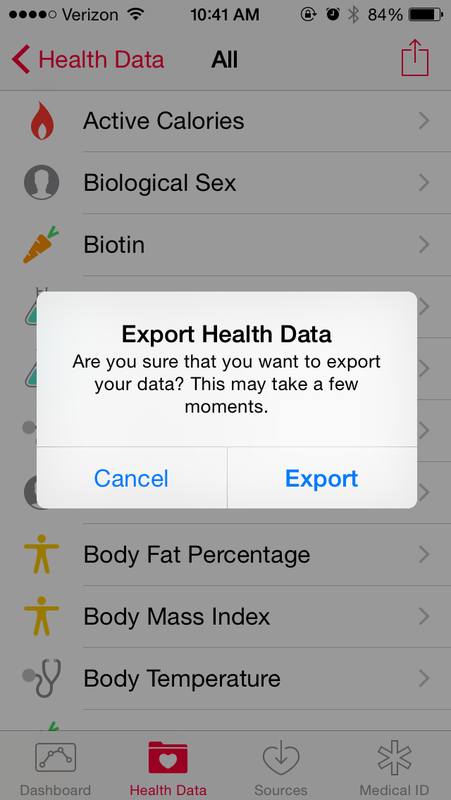 A new option allowing export of health data has also been introduced. 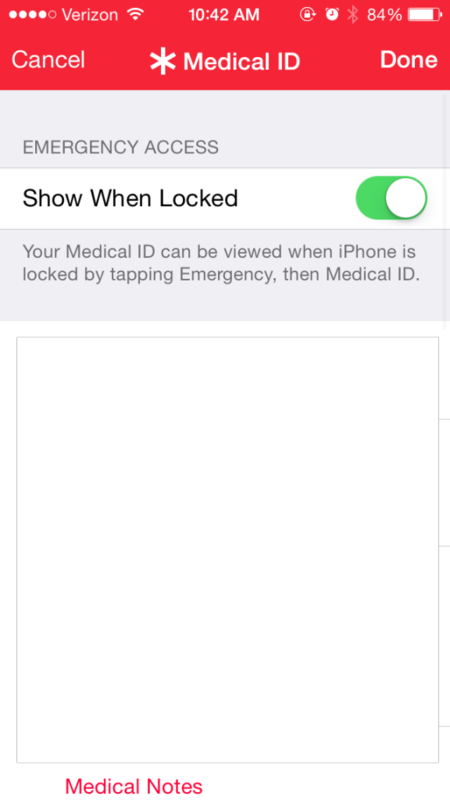 Another option lets you see your medical ID on the lock screen. There’s also a new health panel in privacy settings. With iOS 8 Apple has introduced SMS Relay. Through SMS Relay you will now be prompted when other devices running iOS 8 or OS X Yosemite try to access your messages. 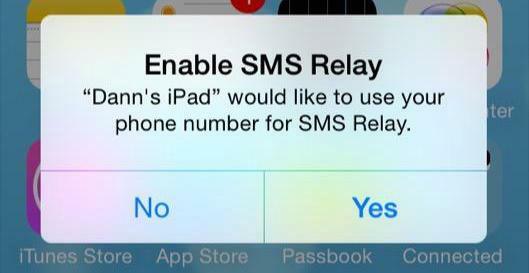 SMS relay is a part of new features which let iPads and Macs make phone calls and send text messages. 3. New icons and options for iCloud. iCloud also sees several updates in iOS 8 beta 5. 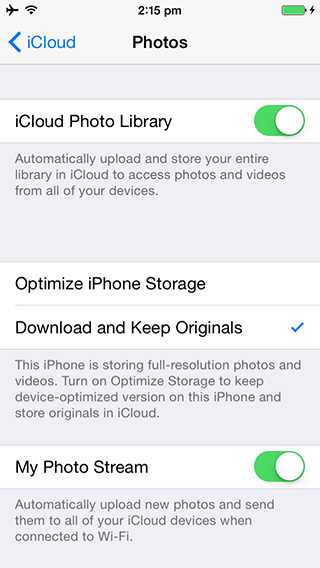 A new option lets you download and keep originals on iCloud Photo. In addition to this, a new option called optimize iPhone Storage lets you keep low resolution copies on your iPhone while storing the high resolution ones on the iCloud. Icons for iCloud Drive, Keychain and Backup in iCloud also receive updates. 4. Quick Type Button Update With Predictive Text. 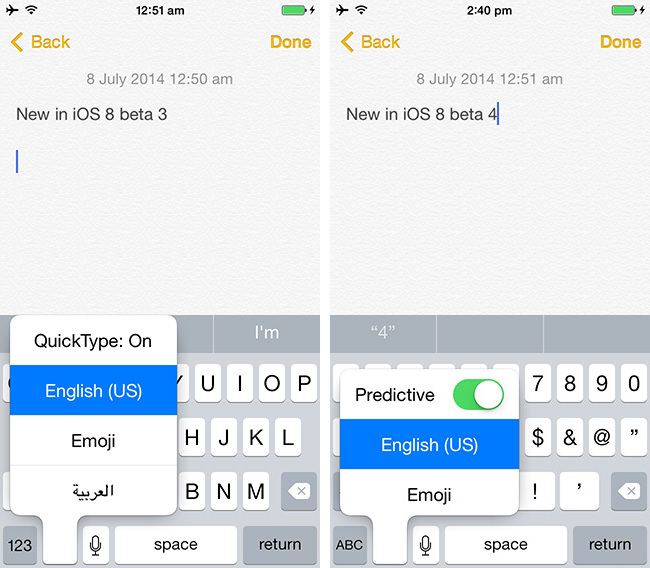 In iOS 8 Beta 3, to turn off predictive text you had to access the Settings menu first. With iOS 8 beta 5, this becomes a direct part of the keyboard with an icon next to the mic icon beside the spacebar. By pressing and holding this icon you can turn Quick Type/predictive text on or off directly from the keyboard. In iOS 8 beta 4 you could access the brightness slider from wallpaper options in Settings. That’s no longer the case in beta 5 where the option is now available only in Display And Brightness section of Settings. 6. Wi-Fi Calling Updated With Carrier Logo. iOS 8 brings with it Wi Fi calling on supported carriers. With iOS 8 beta 5 you will now know whether you’re on a supported carrier with the use of an updated logo which appears next to the wi fi icon in the top bar. This list is by no means exhausted. We’ll keep you updated as we keep on spotting new features on the iOS 8 beta 5. If we’ve missed anything then do let us know in the comments section. Enjoy! 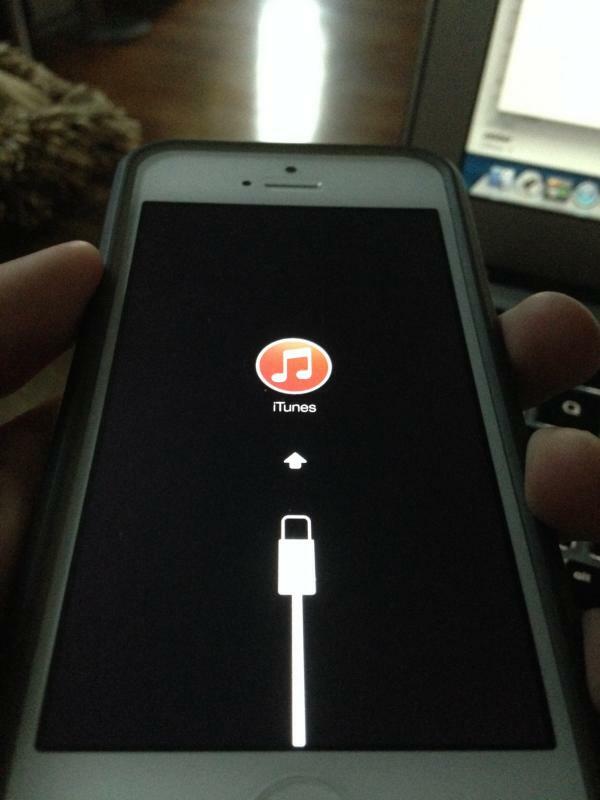 Update: Oh and it also looks like the iTunes logo is red on the restore screen on iOS 8 beta 5. Thanks Jose on iPhonehacks! 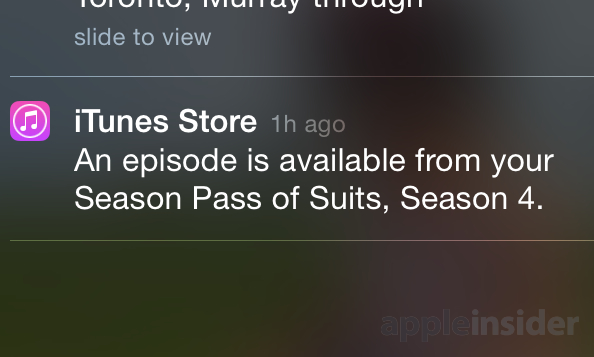 Update 2:In iOS 8 beta 5, notifications for new downloads available through iTunes seasons pass are now present. Previously, users received notifications through email. Courtesy appleinsider.